We're of the mindset that styling should be a delicate balance of function and looks. When the products you use in a space are on display, it's important to keep the functional things within reach and the beautiful things in sight. 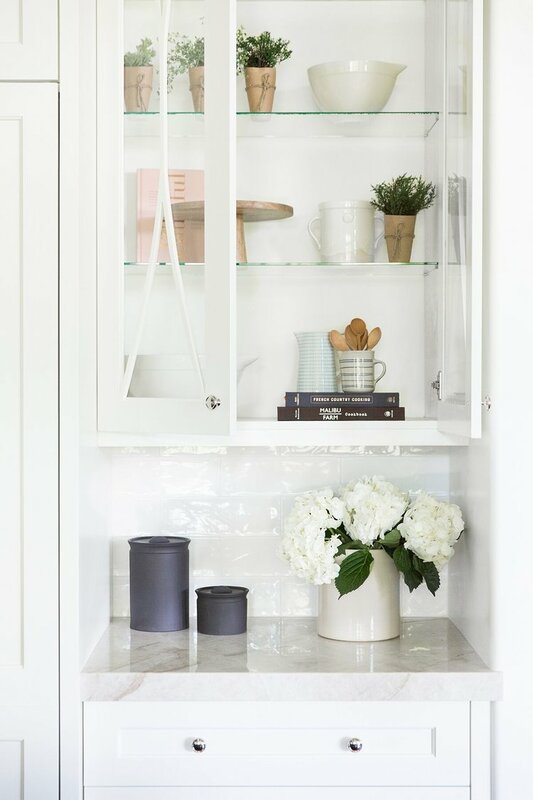 We've given tips on styling open shelving in the kitchen, so here are our tips for display cabinets with clear glass doors! When styling open spaces we often create various groupings of clustered objects ranging in size, texture, and shape. With double doors (like below)- we tend to divide the cabinet into 2 columns. We also like to alternate 1, 2, and 3 things on stacked shelves. 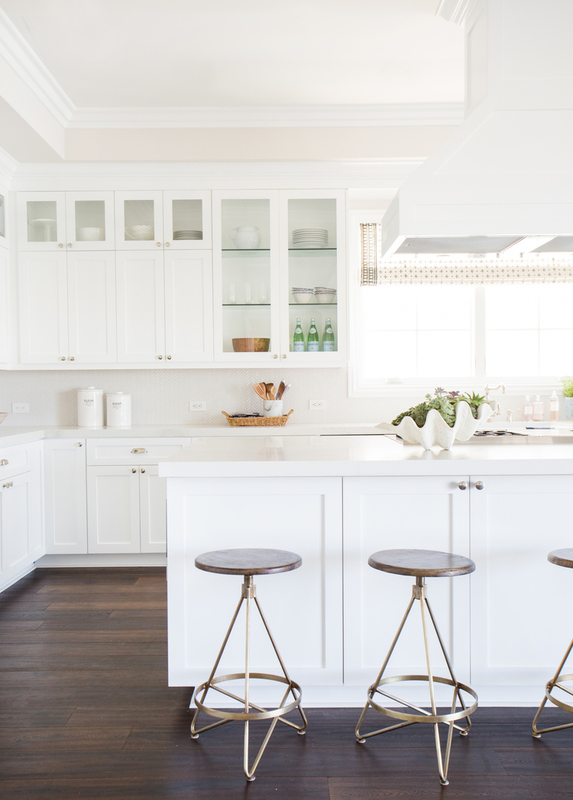 This keeps the space feeling collected, but also cohesive and put-together. 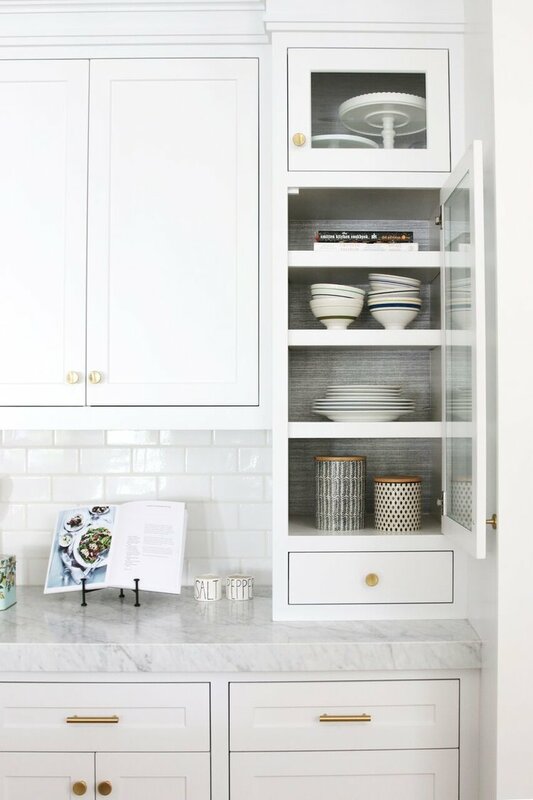 Cookbooks are great for glass cabinets because they meet form and function. We like to stack them together under smaller objects, or lean behind a cake stand. It's great for creating height and visual interest! You don't need to get creative when storing your plates, bowls, glasses, and other dish-ware. Just stack 'em! 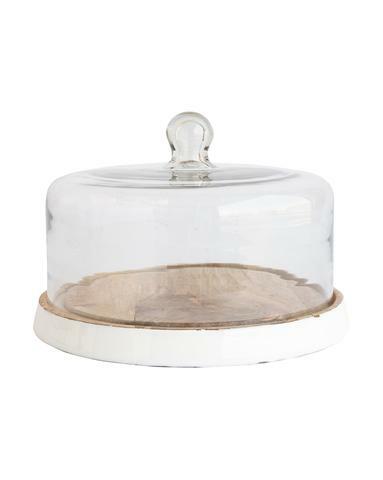 Pedestals and cake stands look great standing alone, so you don't need to stress about adding clutter to the top. 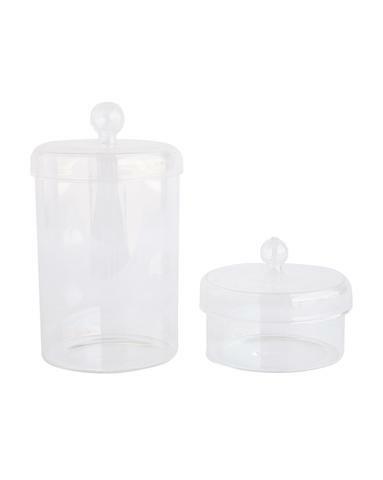 Canisters are great for storage and they're just cute, easy decor. 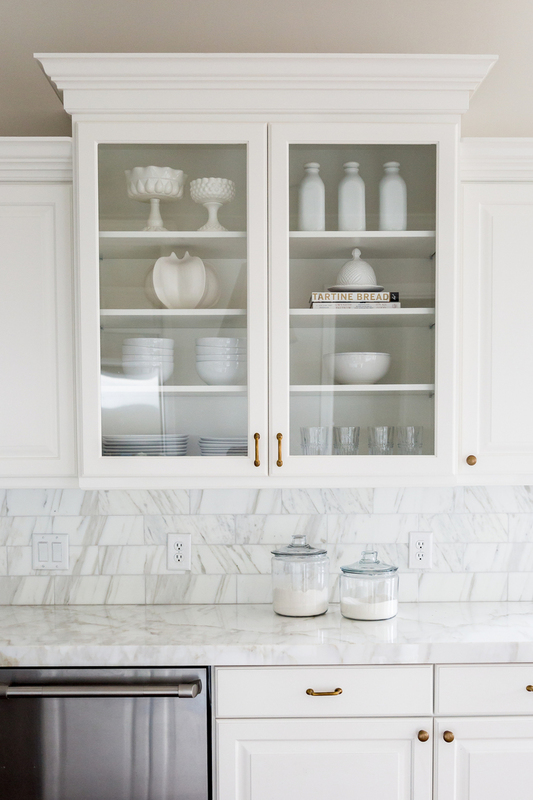 When tackling those glass front upper cabinets above the other cabinets, we like to stick to all white. It still creates visual interest without competing with the rest of the space!